The Dominican Friars have exercised Parish ministry in this area since 1867. We were joined by our Sisters in the 1880’s. Since then, primary and secondary education have formed part of the ministry here. As the hospital complex emerged along York Avenue, tending to the sick came to be a signature work of the Dominicans. Today, our Parish holds two Dominican churches, two communities of Friars, two communities of Sisters, two high schools, and a hospital chaplaincy. It also contains an administrative center for the Order. But what has shaped the whole enterprise over these generations is the common life the Brothers and Sisters share at home. Today, if you walk into the Church of St. Vincent Ferrer or the Church of St. Catherine of Siena, you will find outstanding architecture, and you will find paintings, carvings, and stained glass deployed in beautiful and evangelical ways. But these elements serve a purpose beyond pleasing the eye and informing the mind. The agenda of our churches, and hence of our Parish, comes clear in a paradox you can see played out all day long. On the one hand St. Vincent Ferrer and St. Catherine of Siena are places of great grandeur, accommodating crowds gathered for solemn worship. On the other hand, someone can walk off the street into either church, for the first time, stand alone in it, and feel instantly at home. Put simply, the churches preach. They proclaim to you the all-powerful and all-knowing God, and they make you at home with Him. Neither part of this paradox compromises the other. God is awesome, and close enough to sit with for a good cry and a shared joy. Our buildings convey this perception of God to you, because the life of our Order conveys it to us. By St. Dominic’s design, dating from 1216, the men and women of the Order live an intense life in common. We pray together, and we place our income at the disposal of the Community. We share our working lives in ministry and our leisure hours at the end of the day. We all receive training in a very ancient way of life, and each community shares the task of applying that tradition in its time and place. Most religious orders could claim this list of traits, but to them St. Dominic added the work of study. Every Dominican accepts study as his or her manual labor, and so we should study assiduously even when there is nothing to prepare. Here is the intimacy of the Order; the Dominican, the book, and God. Here, we learn to be in awe before Him and to befriend Him at the same time. This common life, especially study, orders the environment in which you pray, as it continues to order the preaching you hear on Sunday and the education our students receive throughout the week. It gives shape to the way we form the faith of adults and children; it molds the way we steward resources and collaborate with staff and volunteers. In the ancient days of our Order, our houses were often referred to as a “Holy Preaching,” not just because the Dominicans gave sermons but because their way of life proclaimed the Gospel to their contemporaries. Our hope is that this Parish will preach by what we say and sing, by how we invest our resources, by how we treat our elders and our young, members of long-standing and those who just joined. 1867: The Dominicans are given charge of what was to be St. Vincent Ferrer Parish. The first temporary church stood at the corner of Lexington Avenue and 65th Street. 1870: The first permanent Church of St. Vincent Ferrer is dedicated and remains in use until 1914. It’s architect was Patrick Keely. 1874: The creation of St. Vincent Ferrer Priory as a formal house of the Dominican Friars. 1888: The arrival of the Dominican Sisters of St. Mary of the Springs to administer St. Vincent Ferrer Parish Grade School. 1895: The Parish opens a mission on 68th Street, east of 1st Avenue, entrusted to the patronage of St. Catherine of Siena. 1906: The opening of St. Catherine of Siena School under the direction of the Dominican Sisters of Sparkill. 1909: The opening of St. Vincent Ferrer Business High School, a two-year program of commercial studies. 1916: The creation of St. Catherine of Siena Priory as a formal house of Dominican Friars. 1936: Dominican Academy High School moves to its current location on 68th Street. School, and the new, four-year St. Vincent Ferrer High School. 1985: St. Vincent Ferrer Grade School is closed, and St Vincent Ferrer High School occupies the entire school building. It begins to draw young women from all boroughs and Westchester County. 1992: St. Catherine of Siena School is closed. 2002: The formation of the Dominican Friars Healthcare Ministry of New York as a concerted response to the needs of the hospital community. 2008: The new Priory of St. Catherine of Siena is opened, including a new Parish Office and meeting space. 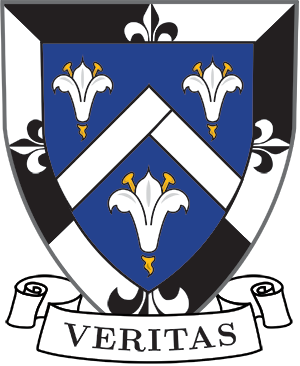 2009: The Dominican Sisters of Our Lady of the Springs of Bridgeport assume the administration of St. Vincent Ferrer High School. 2015: The merger of the two Parishes of St. Vincent Ferrer and St. Catherine of Siena. This string of dates tells you how the presence of the Church burgeoned in our neighborhood from the late 19th Century until World War II, only to contract as the neighborhood changed beginning in the 1960’s. Beneath that ebb and flow there has been a constant desire to respond to those who need the services of the preachers. Because of this legacy the presence of the Order here is textured by interlocking Parish, community, school, and shrine structures.